Strategies on Minion System Coming from Our Players! 1. First of all, we need to know how the different types of minions can help boost the power of the heroes and pay close attention to which group your minions belong. Different groups have different bonuses for reaching certain amount of stars, some of them may be more beneficient (especially attack, hp and dodge ones). Then choose wisely which stats you need the most to upgrade so you will have the designated minion that gives your desired stat. Challenge Skeleton Warrior or Footman stage until you get enough shards to combine boss and then follow each path till the end cause you will unlock better minions faster that way. If you recharge and take part in group x-server group deal then focus on buying shards of stage bosses, that way you will unlock higher stages faster. 2.Do not be afraid to experiment on putting which cards to what hero. Since they can be removed and reapplied to someone else without any cost or penalty whatsoever, don't hesitate to mix cards and move them from hero to hero to find where they are most useful. Simply put, to whom you give what card is basically up to you. 4. For starters, some players hold the view that it is advisable to buy as many of the Imp cards from the shop to temporarily fill an important hero's card slots. They are cheap enough and have no purchase limit whatsoever, so get as many as needed. And as you get better cards, simply move them to another hero and they can still be useful. Purchasing sixty Imp cards in total for everyone in the whole squad is also not a bad idea. Go for it if you can afford it. Just remember to sell them away when they are no longer needed. - Minion Card augmentation needs Sapphire Jade & Red Jade. Always Augment if you get enough resources. It increases your card bonus highly. 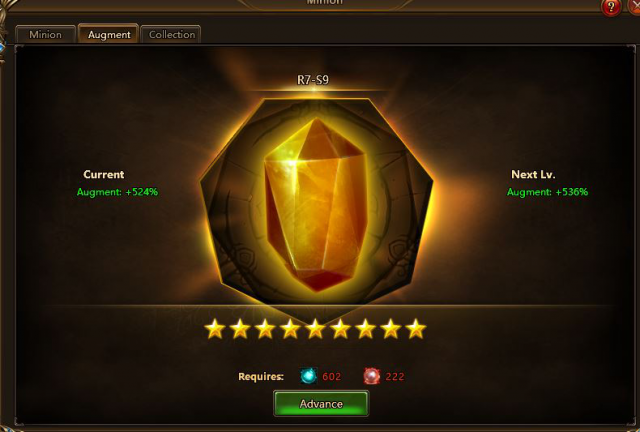 - You can get Sapphire Jade from Minion Shop, treasures, monster fighting etc. - If you are not very fond of augmenting, at least make it to Augment R3-S0. Passive skill of 6-cost cards will activated then. - Do not immediately use your Purple Jades in the codex. Save them for the more powerful cards as they would obviously give better bonuses than the lesser cards. But keep in mind that even lower tier minions can be useful. 1.One important thing to remember upon entering the Nether Realm is that there is no time limit and that you may exit and then come back as you please, so take as much time as needed to find the best paths to take. 2. The terrain of the Nether Realm is randomized with each entry, so always survey the whole area first before you move as the blocked paths from a previous run may now be open in another. 3.Your priority should be Boss , Question Marks , +2 AP Sword (if you are near and you don’t need to move a lot to get it) Minions , Chest. 4. 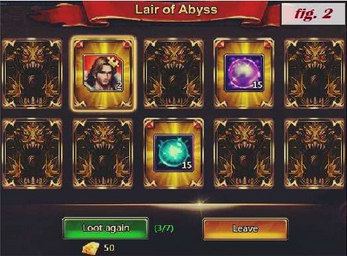 Enter the Nether Realm with a goal in mind: if you are hunting for card shards, then prioritize the monsters to get them and disregard the chests if you cannot afford any spare AP for them. At the same time, if you're only after the Jades, then just only attack enough monsters to reveal the chests and then ignore the rest. But either way, Red Jades are still very rare and very important, so never forget the boss. 5. Spend diamonds for the extra loot attempts after killing the boss. Cause you can get various rewards including extra Boss shard, Purple/Sapphire Jade, Gold etc. - Daily 2 attempts are available for free users; so use them. - More carefully choose the path where there are more monsters (Because boss generally appeared in crowed area). - AP will be deducted when moving to any adjacent tile when Fatigue is full (4/4), so always try to either attack monsters or open chests by the time it reaches 3/4 to reset the Fatigue meter at the same time and only spend 1 AP. If you attack or open a chest with full Fatigue at 4/4, you will lose 2 AP in total for that single move (1 AP to move to that tile, and then another 1 AP for defeating monsters or retrieving chest loot), which is not worth it. - Acquiring the Sword will not clear AP, so plan carefully. If, by instance, you already have full 4/4 Fatigue just before you get it, you'd only get a total of 1 AP because you would have spent 1 AP to clear Fatigue from moving to get it. - When Fatigue become full(4/4) never forget to use Fatigue-2 first than ’AP-1’. But try to conserve the '-2 Fatigue' skill. It can only be used once per round, so never use it just because you can. Save it when attempting to reach a much needed monster/Sword/chest that's too far away to prevent spending AP just from moving. - Always try to get to the boss. They are the only sources of Red Jades in the Nether Realm, and those things are very, very important. Do not worry about drop rates, though. Bosses will always reward a Red Jade upon defeat so always go for them. - Strive to unlock new levels to get access to better cards. After checking out the above strategies, how do you think about it? Is it helpful for you? If you have any better strategies, do not hesitate to share with us. 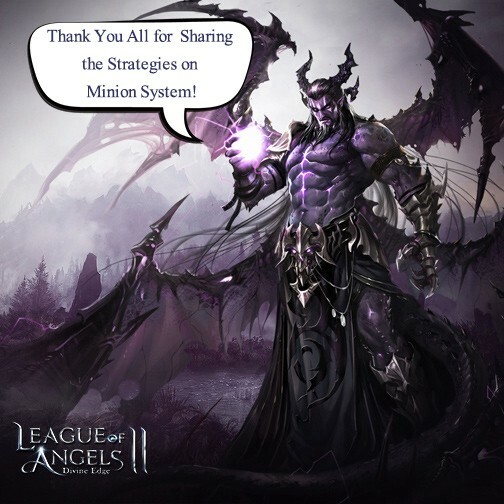 Enjoy Minion system and stay tuned for more strategies coming!